My 39th year is here. Contrary to what you might think, I am truly looking forward to the impending four-zero. Mid-life is here, y'all! It's time to do something exciting! I made a big decision this week to launch a business. For months now, I have been using beauty products that I love and I have decided to join forces with Beautycounter in their mission to get safe products in the hands of women everywhere. 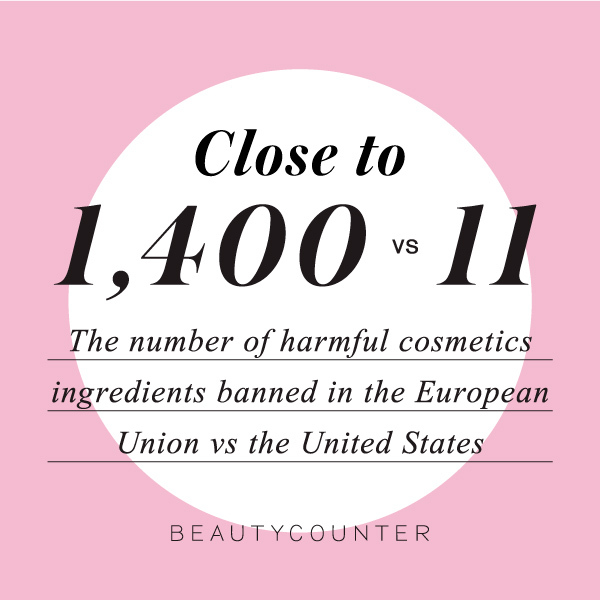 Beautycounter is committed to providing quality products that are free of chemical junk and things that are harmful to human health into the hands of everyone. Honestly, it never occurred to me to march up to my department store cosmetic counter and ask the question, "what is actually IN this stuff?" If it looked beautiful, I bought it. I have done this for most of my adult life. But after making great changes in my lifestyle over the years, it only makes sense that I should question what I am putting on my face and skin every single day (and on my children!). I am back in my skinny jeans, eating well, staying active, and now, I am finally tackling my makeup bag. The mission of this company is to be a part of changing what is offered to women - changing it to include products that aren't made of toxic chemicals and other ingredients that are harmful. And I feel passionate about being a part of it. And you know what? The products perform. I have browsed health food stores for "natural" non-toxic products in the past, but I have never found anything that actually performed like the makeup and skin care items I used from the department store. So, even if they had lots of junk in them, I couldn't bring myself to change. Until now. Beautycounter launched in 2013 and they are doing great work in an industry that is basically self-regulated. 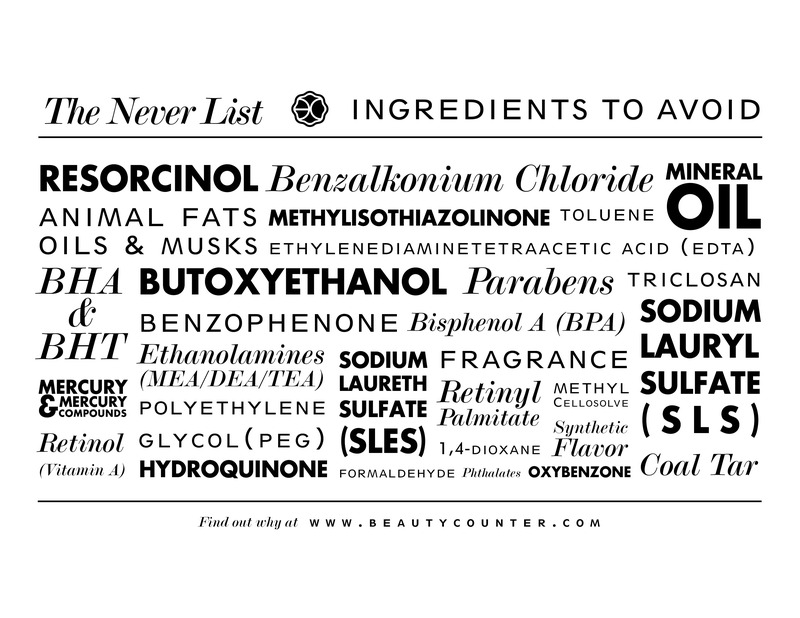 While most companies literally use any ingredients they choose (regardless of the health risks), Beautycounter's standards are above everyone else. It is about time that a company put the needs of consumers before the bottom line...they are continually working to create safe and beautiful products for everyone. Cheers to launching a new role in life! I'm adding it to wife, mom, friend, volunteer & faith-filled woman. I am staring the 39th year with gusto! Please visit this site to see all of Beautycounter's products and learn more about their mission to offer safe products to everyone. Need help figuring out where to start with your cosmetics clean out? Contact me and I can help. You can email me directly from my Beautycounter page - and shop there too. This list called "The Never List" is one you should use as you evaluate your own product stash. Bet you'll find something you didn't know was there. It's time to get in there and clean it up!